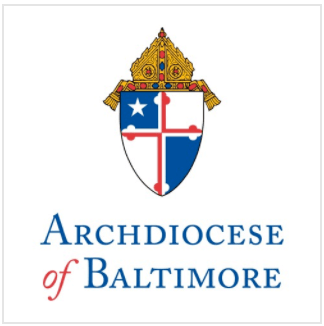 Archbishop Edwin O’Brien, Archbishop of Baltimore, has informed the leadership of the St. Thomas More Academy (STMA) in Buckeystown, Frederick County, that he has granted the independent school’s request to be recognized as a Catholic school within the Archdiocese of Baltimore. Under Church law, a school must receive permission from the local bishop before it can be called Catholic. This requirement helps ensure that Catholic schools follow Catholic teaching in their mission and programs. With the recognition, the school now operates as an independent Catholic school, bringing the total number of independent Catholic schools operating in the Archdiocese of Baltimore to 20. As such, the school will remain responsible for their own governance, academic quality, day-to-day operations and finances, while also meeting the Catholic identity standards established by the Archdiocese. Prior to granting recognition to the school, St. Thomas More Academy underwent a three-day review from the Archdiocese, which reviewed several key factors, including Catholic identity, diversity, educational programs, family involvement, finances and leadership. As a condition for receiving recognition, the school agreed to a number of stipulations, including alignment of the school’s curriculum with that required of every Catholic school in the Archdiocese. “Please extend to all within the Saint Thomas More Academy community my good wishes and blessings as we move forward in strengthening the mission of Catholic education in the Archdiocese of Baltimore,” Archbishop O’Brien wrote Mr. Joe Slattery, President of the STMA Board of Directors. St. Thomas More Academy was founded in 2000 and serves students in grades pre-k(3)-eight and is located at 3989 Buckeystown Pike.